Launched by Walt Disney in 1929 as a "musical novelty" series to complement his recent success with Mickey Mouse, the Silly Symphonies soon became much more. This line of delightfully innovative, animated cartoons ran for ten years and produced such classics as Three Little Pigs, The Tortoise and the Hare, Music Land, and The Old Mill. Silly Symphonies won every Academy Award. 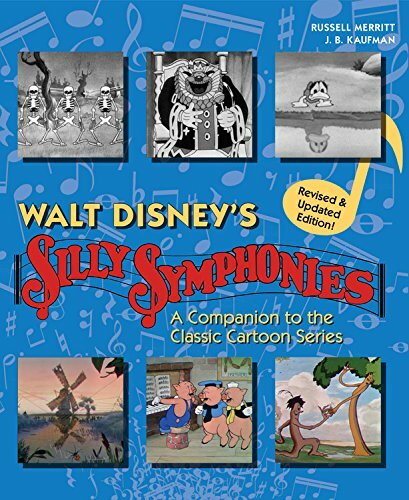 From the authors of the prize-winning Walt in Wonderland: The Silent Films of Walt Disney, this richly illustrated volume is a complete history of the Silly Symphonies including detailed entries for all the Symphonies along with a lengthy critical analysis and production history of the series.